We can be very creative about not being creative. When we schedule time for our creative activities, quite often other more pressing tasks pop up. As a result, our books don’t get written and deadlines move from being comfortable to being tight. There is a knack to scheduling creatively which involves going with the temporal flow. When we block out creative times wisely, we find we can get more done, more easily. One of the factors which mitigates against us is the modern calendar. Our modern time systems are brilliant when it comes to allowing us to operate in a sophisticated society. We don’t want all planes to arrive at an airport just when they feel like it. It’s nice to be able to turn up to the theatre and for it to start on time, on the date that we’ve booked. We should be minded though that seconds, minutes, hours, weeks and months don’t exist in nature, they are man-made. Likewise the names of the days of the week and the division between working week and weekend are arbitrary. Not everyone on the planet has Saturday and Sunday as their weekend, for example. The varying lengths of the months are made up too. The only real time constants are the day and the year which are of course driven by the rotation of the Earth and its orbit around the Sun. Even these vary quite a bit and our 24 hour days and 365.25 day years are only averages. The tugging and pulling between the planets in our Solar System make everything a bit fluid and variable. When we superimpose false deadlines inside our time system, it is often hard to be at our creative peak just at the perfect time. Of course, we can use tools and practices like meditation and mind mapping to help us out of our creative log jams. The best way by far to be superbly creative though is for us to schedule our creative tasks around the times where we are most productive. 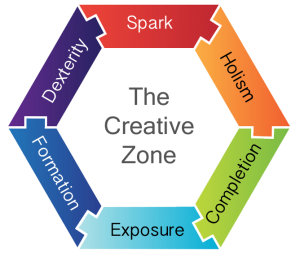 Firstly, we can easily identify when we are most creative in the day. I am a morning person and I always write between 8am and 11am, as I am doing with this article right now. I also meditate before each writing session but that’s just a practice I use to tune into my Creative Muse. The second trick I use is to give the days of my week my own names on which I focus on different aspects of my business. You can have some creative fun making up your own. See the blog, My Magical Week for more on this and to see how others have done it too !! Once we get our days sorted, we can superimpose two other overarching slants on our creative output. The first is to tune into the phase of the Moon. I have noticed I get much better results if I plan between the New Moon and Full Moon and act and deliver between Full Moon and New Moon. I also believe that it doesn’t matter if the Moon affects our creativity or not but that the oscillation between planning and action gives us space to breathe, reflect and measure how we are doing. There are more subtle divisions to use with the quarter phases of the Moon but this simple method is very workable. 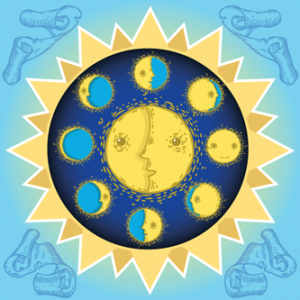 By the way, if you don’t know what the Moon phase is, there are loads of free smartphone apps these days. I’ve also found that inspirational talks and workshops work well when timed on or around the Full Moon. New concepts and product launches on the New Moon seem to swimmingly too. The second aspect to bear in mind is which season we are in. Only after writing my first three books did I notice that I had created them all in Spring. 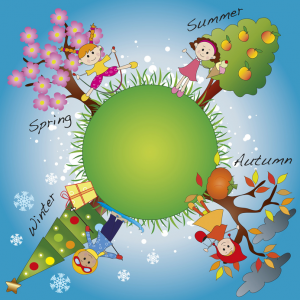 So now I plan and research my next book in Autumn and Winter and start writing it in earnest on the Spring Equinox. Now if all of this sounds a bit wacky and you think I have lost my marbles, let me add some caveats. Firstly, each of us is free to tune into our own creative cycles. There is no creed or religion to follow here. Secondly, any system like this works exactly because it gives us a framework to follow. Our outputs are the only measure of its efficacy. We should never limit our creativity either. My iPad is always to hand to capture words, speech, art, maps of my mind and images or even video, should the Muse call. 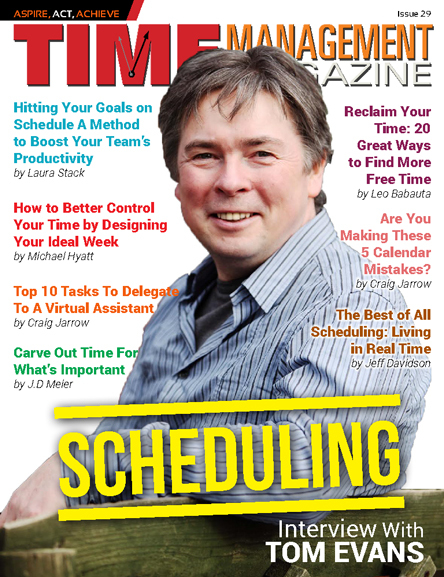 To find out more about how I schedule my day, check out my interview and loads more fabulous articles in the latest multimedia edition of Time Management Magazine.